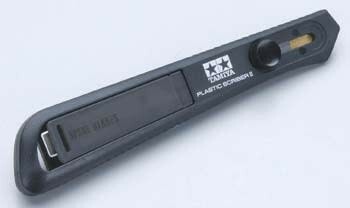 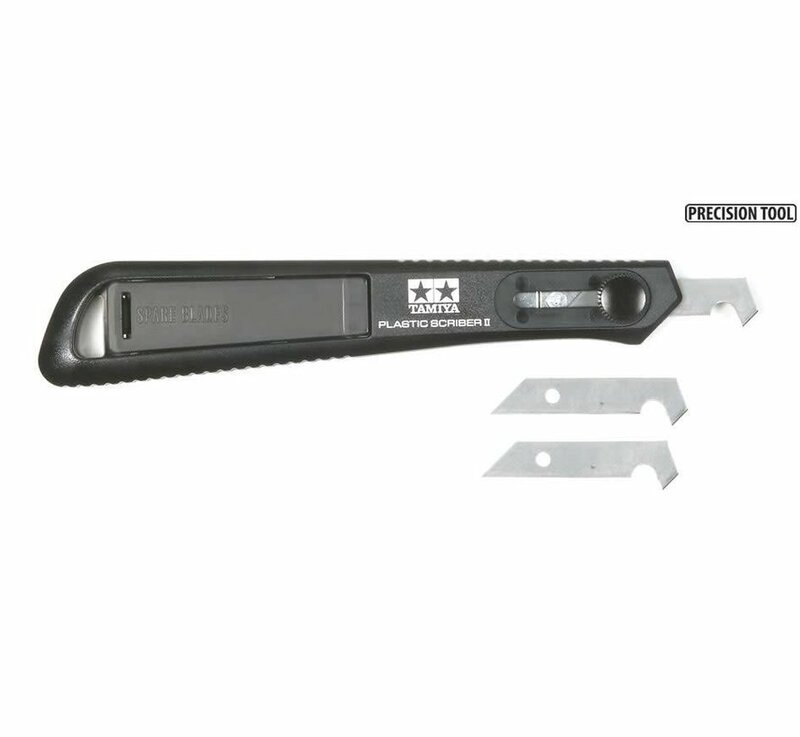 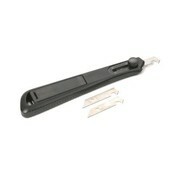 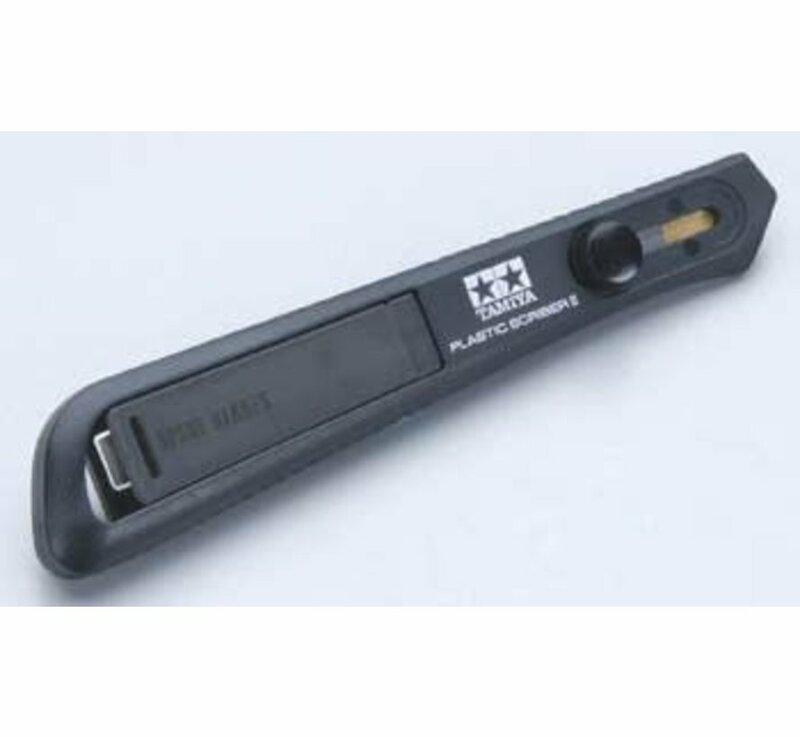 This is the Plastic Model Scriber II modeling tool from Tamiya. 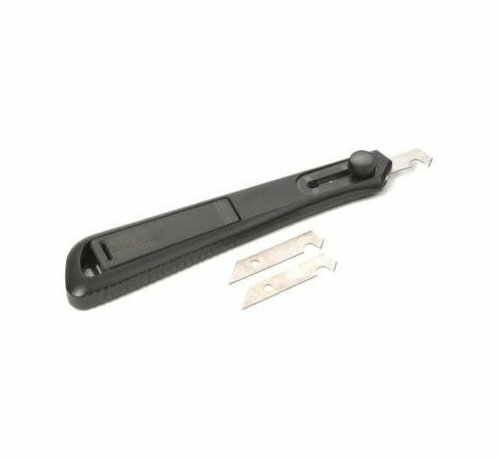 This tool is perfect for tasks such as scoring and cutting plastic sheets, creating mold lines on model parts, and modifying Mini 4WD machines. The blade can be retracted after use and two spare blades are also stored inside the handle.